This is the 16th edition of a two-month series of events celebrating and highlighting the many roles woman play in the social and cultural life of the community. 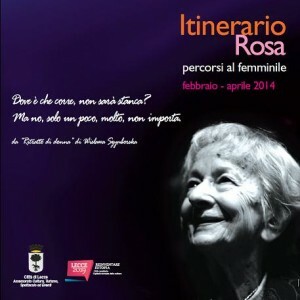 Organised by the Culture, Event and Tourism Department of the Lecce city council in collaboration with the many woman’s associations in Salento, the Itinerario Rosa (Pink Itinerary) has 63 different activities in March and April. With topics ranging from arts, crafts and theatre to books, debates and meetings, all held against the magnificent Baroque backdrop of Lecce, the “Florence of the south”, there is something for everyone, not just the women it honours.